World-renowned researcher Dr. Jack Tu died unexpectedly at age 53. In 1992, Dr. Jack Tu, a graduate student and internal medicine resident at Sunnybrook Health Sciences Centre, settled nervously in the office of Dr. David Naylor, then in his first year as CEO of the Institute for Clinical Evaluative Sciences (ICES). Tu was there to ask Naylor to supervise his Masters thesis, about using analytics to improve cardiac care. He had a “gap-toothed grin that lit up his whole face,” Naylor said in a speech delivered at the recent funeral for Tu, a professor, clinician, world-renowned researcher, husband and father, who died unexpectedly on May 30 at age 53. Tu was quiet, but once he launched into his research ideas, he began to speak quickly and passionately. Naylor was amazed by his curiosity, his intelligence and his meticulous research plan. But he was a bit taken aback when Tu started talking about artificial intelligence algorithms. In 1996, Tu published a paper on the advantages and disadvantages of neural networks and logistic regression in modelling health outcomes. That paper “languished in obscurity,” but began to get noticed about a dozen years later and has since been cited almost 1,000 times. “Jack was simply too far ahead of his time,” said Naylor. Tu remained at the vanguard with his subsequent research projects. In 2001, he made partnerships with scientists around the country, leading to the Canadian Cardiovascular Outcomes Research Team (CCORT). “He could have used the Ontario dataset he had access to, but he engaged with people outside of the province, and that’s quite unusual for a young guy,” said Dr. Andreas Laupacis, a professor at the University of Toronto in the Department of Medicine and the Institute of Health Policy, Management and Evaluation. Pilote is not sure, but she wonders if part of Tu’s burning desire to better the health of Ontarians and Canadians was gratitude to the country that welcomed his parents, who emigrated from Taiwan when Tu was only two years old. His later research, using data collected by the Cardiovascular Health in Ambulatory Care Research Team (CANHEART), challenged another widespread belief, that raising HDL, or “good” cholesterol, could improve mortality. Tu was able to realize his big-data ambitions as co-principal investigator of CANHEART. He and his colleagues brought together administrative, laboratory, clinical and electronic health record data with the hopes of better understanding and improving community-based care. Tu was known for his ability to meld datasets with vastly different reporting standards. “He was a data magician,” said Pilote. Tu published hundreds of peer-reviewed articles in his career, including 48 in CMAJ. He published 130 papers in the last five years. Peter Austin, a senior scientist at ICES, said Tu often reinvented himself as a researcher. “After working in one area for several years, he would turn his focus to a completely different area.” He involved many other scientists in his projects and was uniquely generous about sharing data, “which is like gold in our research area,” said Austin. 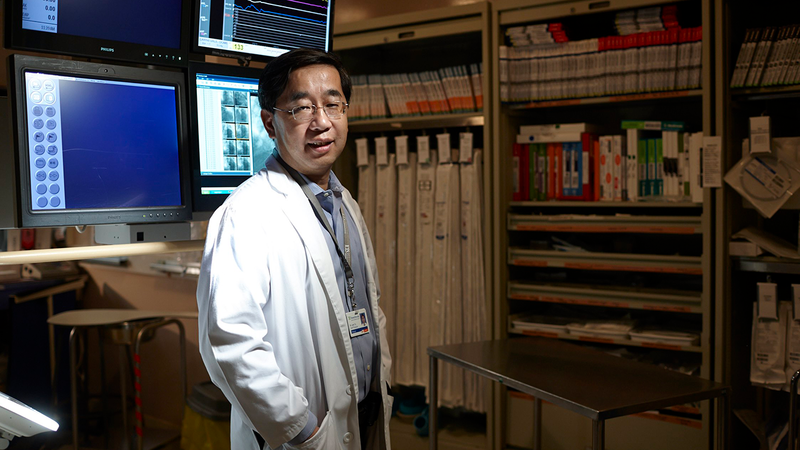 Tu also saw patients at the division of cardiology in the Schulich Heart Program at Sunnybrook and taught in the Department of Medicine at the University of Toronto. Dr. Harindra Wijeysundera was one of Tu’s mentees and later became a colleague at ICES. “He was understated, and humble,” said Wijeysundera. If you didn’t already know of his accomplishments, “you would never know you were in a room with this superstar world-renowned researcher,” said Wijeysundera. Tu had “extremely high standards and was very principled,” said Wijeysundera. And when his research team would go out for dinner, Tu would talk about how important his wife and son were to him.